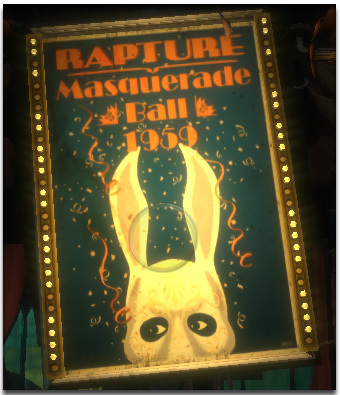 The nightmare that is Rapture continues. Today I was introduced to Little Sisters and Big Daddy’s. The Little Sister exists to harvest ADAM; the Big Daddy ensures that the Little Sister carries our her job. Whoever created this ecosystem from hell is surely mad. I have no doubt. Continuing past the theater, I wrap around some corridors only to find that the entrance way to Neptune’s Bounty (where Atlas’s family is) is blocked off. Atlas tells me to proceed to the Medical Wing. Figures. 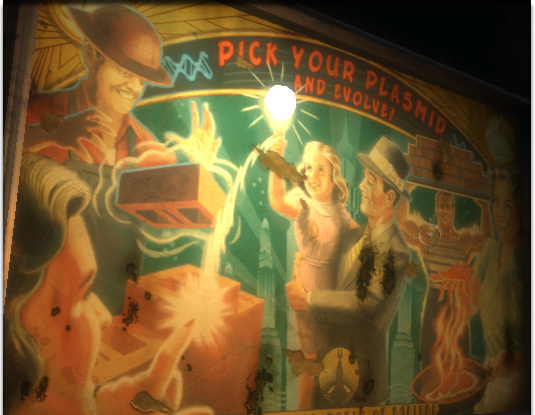 Dispatching Plasmid junkies seems to be the order of the day in Rapture. A bolt of lightening from the hand here, a bonk on the head with the wrench there. Splicers electrocuted before they can ever touch me. I like what the Plasmids enable me to do. In fact, I find myself loving my new found powers. Whenever I run out of Plasmids, rendering me unable to shoot bolts of lightening from my hands, I find myself in a frenzy. I want power. I want to feel what it is to be a god. Perhaps that sentiment is why Rapture is eating itself alive. I don’t care. I crave the power of the Plasmid. Heading toward the medical wing, I am treated to another video featuring the infamous Andrew Ryan. I think that the guy was paranoid. After witnessing Plasmid junkies trying to break through a window and kill me, I quickly make my way through vault-like doors to the Medical Wing. Interesting how the game makes the player crave power (aka the Plasmid). 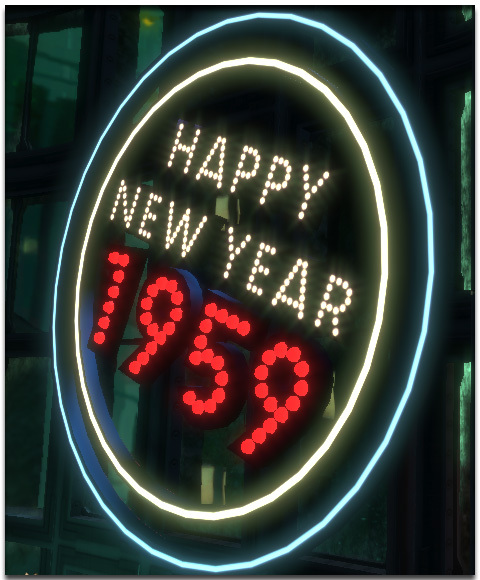 Is BioShock the tale of the classic question of whether man is basically good or evil? Join me next time as I continue to explore the depths of Rapture.